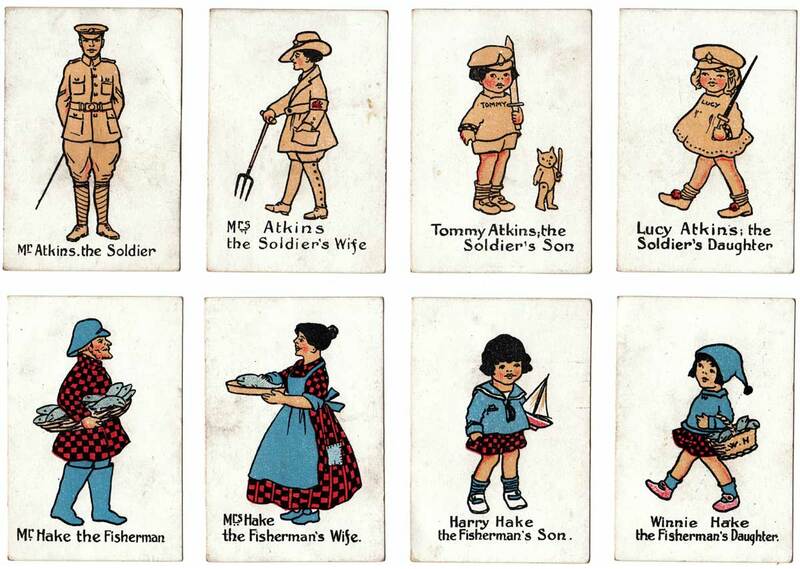 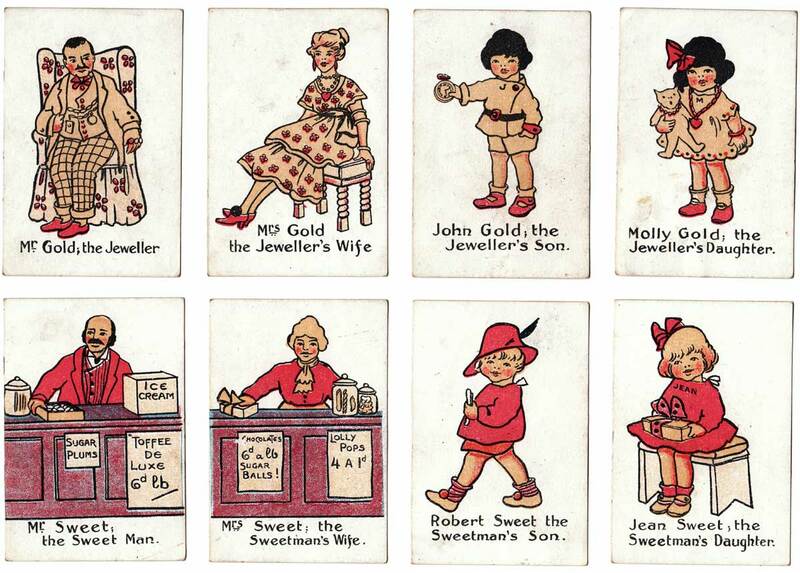 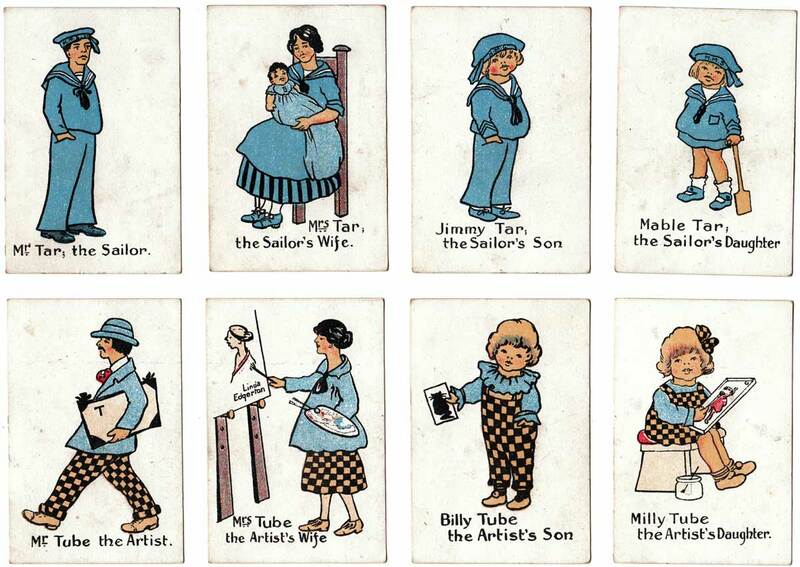 Linda Edgerton (1890 - 1983) produced many appealing designs featuring images of children and childhood, starting from around the time of the First World War, which were reproduced on postcards and in books published by Raphael Tuck & Sons Ltd. She also designed this Happy Families and a Snap set for Chad Valley Games in c.1925 in art deco style. 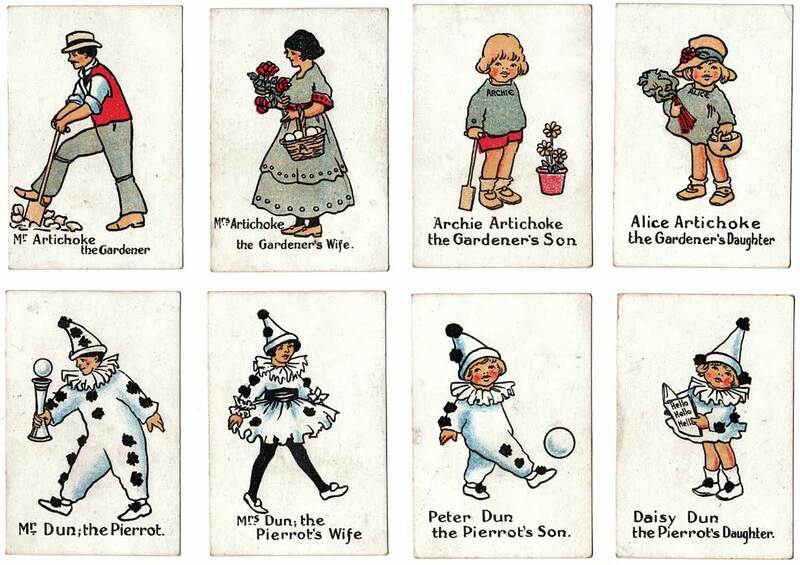 The drawings have a sense of freedom and innocence. 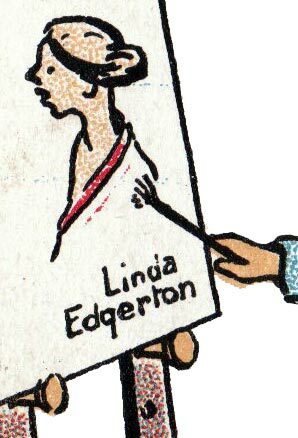 Linda Edgerton’s name can be seen on “Mrs Tube the Artist’s Wife” card (left). 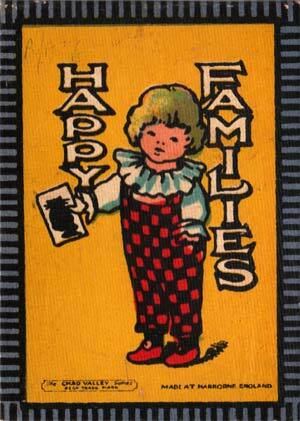 Above: ‘Happy Families’ designed by Linda Edgerton and published by Chad Valley Games, Harborne, England, c.1925. 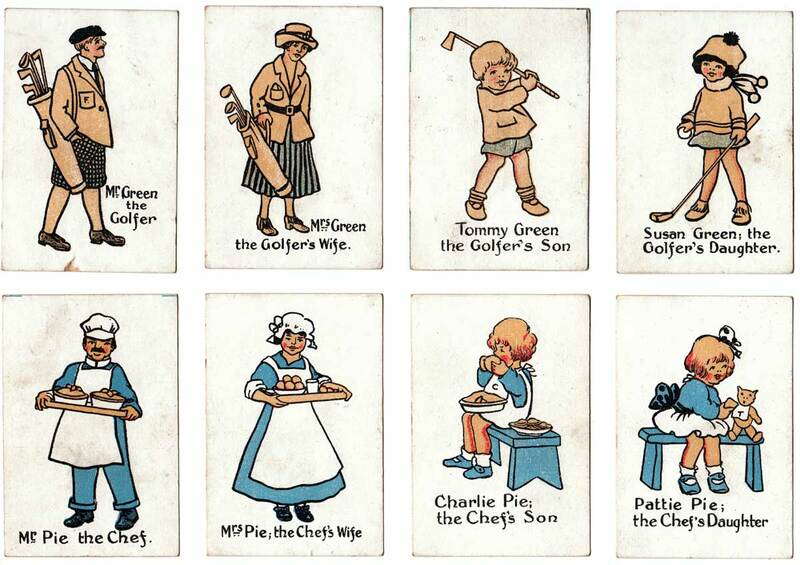 Images courtes Rex Pitts.